The residents of the Istanbul commuter town of Gebze were impressed to see signs going up for new underground metro stations ahead of Sunday’s elections, and 62.3 percent of them voted to keep President Recep Tayyip Erdoğan in power. But work on the long-promised underground train line has not even begun, and as soon as the elections were over, the signs were taken back down again, secularist newspaper Sözcü said. “Unfortunately, we are seeing the most painful form of citizens being deceived,” opposition Republican People’s Party official Tahsin Tarhan told reporters before the election. 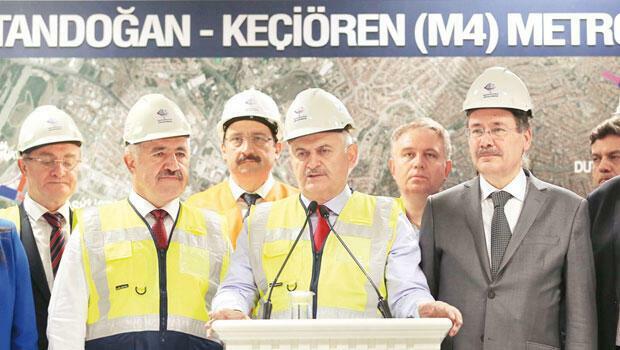 One source of inspiration may have been Ankara municipality, where former mayor Melih Gökçek spent years pretending that new underground lines were on the verge of opening before the projects were taken over and completed by the central government. For many years, romantic Turks would tell one another that their love was like the Ankara metro - “it would never end”.